A devout Puritan minister in seventeenth-century New England, Roger Williams was also a social critic, diplomat, theologian, and politician who fervently believed in tolerance. Banished from Massachusetts Bay Colony in 1635, Williams purchased land from the Narragansett Indians and laid the foundations for the colony of Rhode Island as a place where Indian and English cultures could flourish side by side, in peace. As the seventeenth century wore on, a steadily deepening antagonism developed between an expansionist, aggressive Puritan culture and an increasingly vulnerable, politically divided Indian population. Indian tribes that had been at the center of the New England communities found themselves shunted off to the margins of the region. By the 1660s, all the major Indian peoples in southern New England had come to accept English authority, either tacitly or explicitly. All, except one: the Narragansetts. 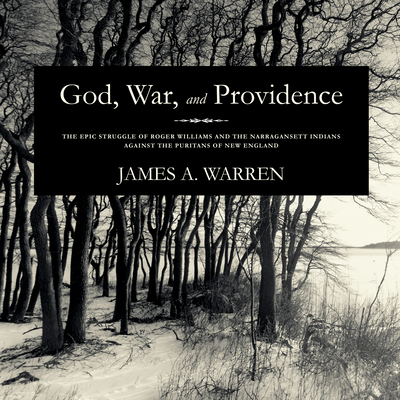 In God, War, and Providence James A. Warren tells the remarkable and little-known story of the alliance between Roger Williams's Rhode Island and the Narragansett Indians, and how they joined forces to retain their autonomy and their distinctive ways of life against Puritan encroachment.